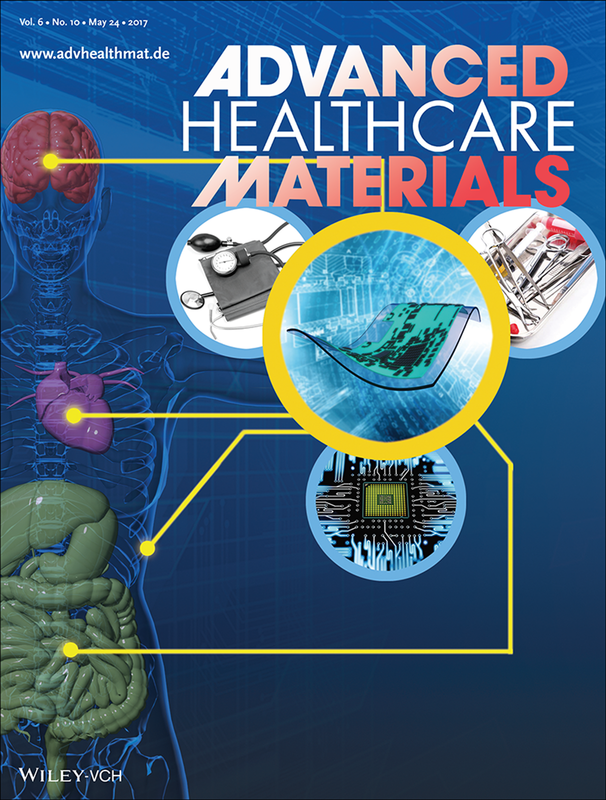 Blood, Sweat and Biosensors: Engineering the Future of Personalized Healthcare, The Kavli Nanoscience Institute, Oct 2018. The Science of Sweat: An Interview with Wei Gao, Caltech News, Sep 2017. 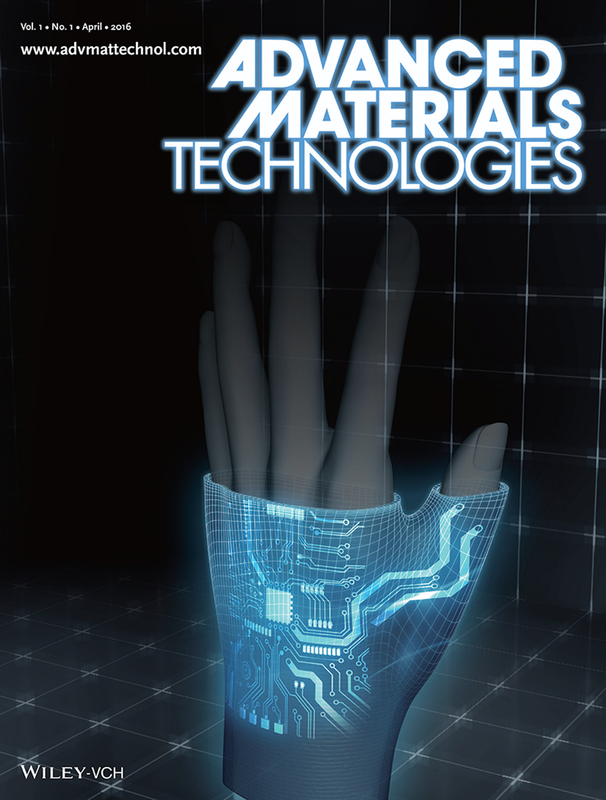 ACS Top Research of 2016: "Wearable sensors were ‘the’ fashion accessories of 2016". Wearable sweat biosensors - W. Gao et al. Nature, 2016. New Wearable Sensor Can Collect Data From Sweat, New York Times, Feb. 2016. Bioanalytical devices: Technological leap for sweat sensing, Nature, Jan. 2016. Wearable sweat sensor paves way for real-time analysis of body chemistry, Nature, Jan. 2016. New wristband measures sweat to monitor health risks, Science, Jan. 2016. Sweaty truth reveals state of your health, The Times, Jan. 2016. Wearable Sweat Sensors Could Track Your Health, Yahoo, Jan. 2016. Wearable sweat sensor paves way for real-time analysis of body chemistry, Scientific American, Jan. 2016. 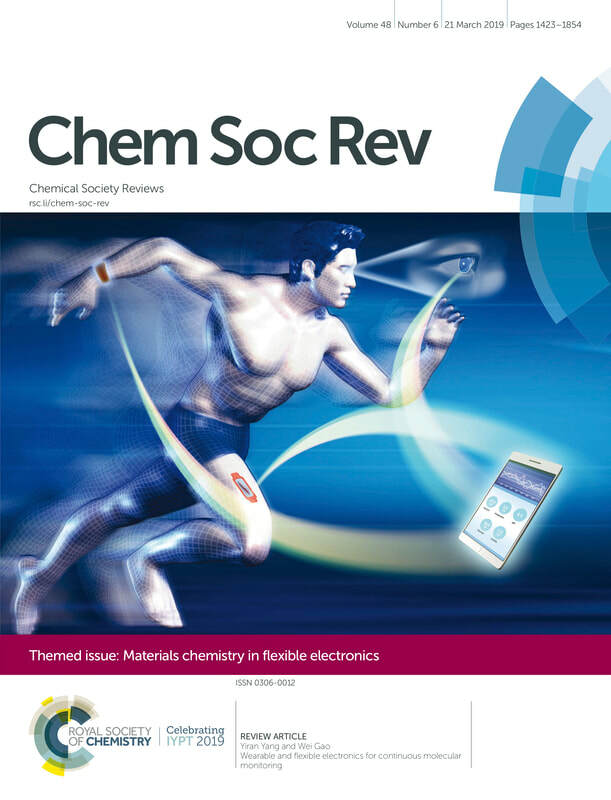 Wearable Device Analyzes Sweat To Monitor User’s Health, Chemical & Engineering News, Jan. 2016. This wearable sensor reveals the secrets in your sweat, Wired, Jan. 2016. What a wearable sensor can see in your sweat, Newsweek, Jan. 2016. Could Sweat Be The Next Goldmine For Wearable Data?, Forbes, Jan. 2016. Wearable Sensor Monitors Perspiration, VOA News, Jan. 2016. Researchers design wearable sweat sensor to track body's biochemical data, Fox News, Jan. 2016. Sweat Sensors Track Athletes' Health, Popular Science, Jan. 2016. Wearable sweat sensor shows how hydrated you are during workouts, New Scientist, Jan 2016. New Wearable Sensors Know What’s in Your Sweat, MIT Technology Review, Jan. 2016. What Your Sweat Reveals About Your Health, Time, Jan. 2016. Researchers Design Wearable Sweat Sensor to Track Body’s Biochemical Data, The Wall Street Journal, Jan. 2016. Smart Wearable Sensor Takes Sweat-Monitoring To Next Level, IEEE Spectrum, Jan. 2016. 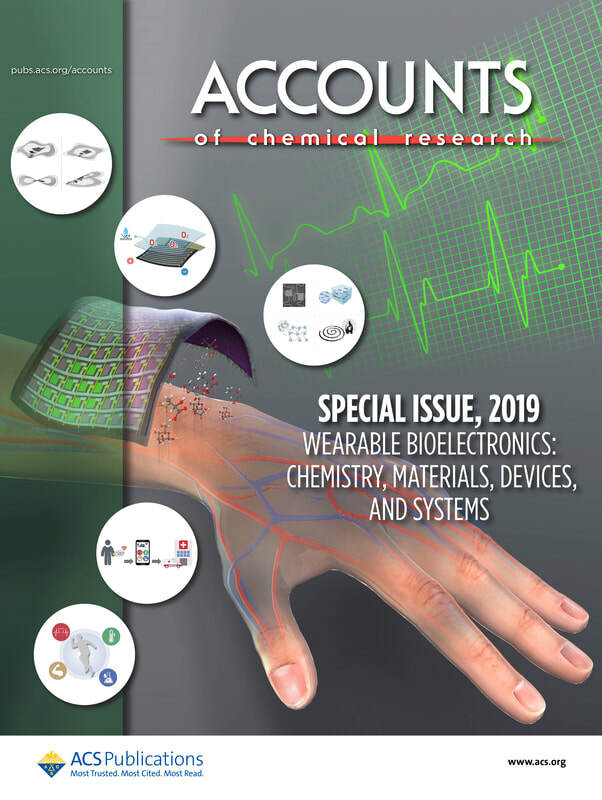 Sweat-sensing wristband measures metabolites, Chemistry World, Jan. 2016. What sweat can tell you about your health, Los Angeles Times, Jan. 2016. Sweat sensing smart tech could warn of dehydration or heatstroke, Daily Mail, Jan. 2016. Tracking health is no sweat with new device, Science News, Jan. 2016. This headband analyzes your sweat to improve your workout, The Verge, Jan. 2016. 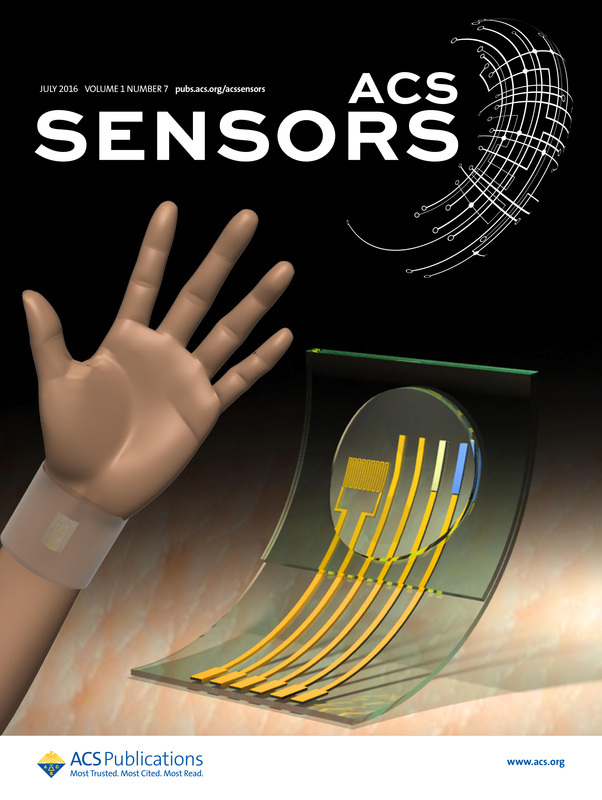 Tiny sweat sensor goes wireless, IOP Nantechweb, Feb 2016. Wearable device monitors athletes’ body chemistry through sweat, San Francisco Chronicle, Feb. 2016. Let them see you sweat: What new wearable sensors can reveal from perspiration, UC Berkeley News, Jan. 2016. UC Berkeley, Stanford researchers develop perspiration-based sensor system, Daily Californian, Jan. 2016. Wearable Biosensors Studied for Clinical Monitoring and Treatment, JAMA News, June 2016. 3D printed microfish - Adv. Mater. 2015, 27, 4411. The really big things we can expect from really tiny microbots, Sep 1st, 2015, The Washington Post. 3D Printed Micro-Fish Robots May Soon Join The Fight Against Disease, Inside Our Bodies, Aug 28th, 2015, Forbes. 3D-printed 'microfish' swim in bloodstream to deliver drugs, Aug 27th, 2015, Wired. Tiny, 3D-Printed Fish to Swim in Blood Stream, Deliver Drugs, Aug 26th, 2015, Discovery News. Why these researchers want to inject 3D printed 'microfish' into your body, Aug 26th, 2015, Fortune. ​The first in vivo study of micro/nanomotors - W. Gao et al. ACS Nano, 2015, 9, 117. Nanobots Used Inside Animals For First Time, Jan 27th, 2015, Yahoo. Stomach Acid-Powered Micromotors Get Their First Test in a Living Animal, Jan 27th, 2015, UCSD News. ​Also in ScienceDaily, PhysOrg, EurekAlert, Elsevier, and Tech Times. Scientists implant tiny robots inside live mice, Jan 23rd, 2015, Fox News. Self-Propelled Micromotors Take Their First Swim in the Body, Jan 23rd, 2015, Scientific American. Scientists successfully implant self-destructing nanobots into live mice, Jan 23rd, 2015, Engadget. Jet-Propelled Micromotors Swim Through Body, Jan 23rd, 2015, ECS. 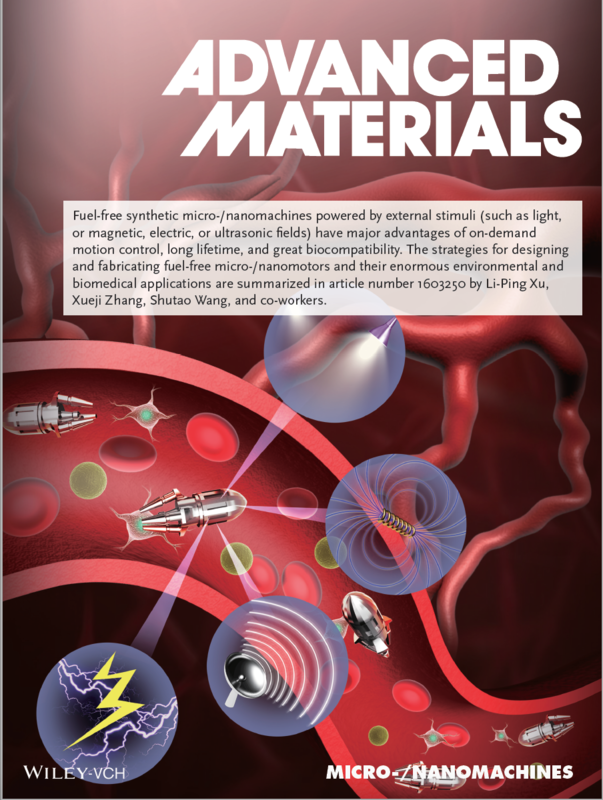 Nanobots Designed for More Efficient Drug Delivery, Jan 23rd, 2015, EMDT. Micromotors Take Their First Swim In The Body, Jan 21st, 2015, Chemical & Engineering News. Nanobot micromotors deliver medical payload in living creature for the first time, Jan 21st, 2015, Gizmag. Bubble-Propelled Microbots Zoom Around Inside Live Mice, Jan 21st, 2015, Popular Science. Microscopic machines travel inside a living ANIMAL for the first time - and could one day be used to deliver drugs in humans, Jan 20th, 2015, Daily Mail. Micro-machines journey inside animal for first time, Jan 19th, 2015, BBC News. The First Demonstration Of Self-Propelled Nanobots In A Living Animal, Jan 19th, 2015, io9. Scientists Test Out Tiny Robots Meant to Travel Inside a Human Body, Jan 19th, 2015, Smithsonian.com. This Ingestible Microbot Is Powered By Stomach Acid, Jan 19th, 2015, Gizmodo. Mice are first pioneers of medical micromissiles, Jan 16th, 2015, New Scientist. First demonstration of micromotor operation and payload release in living organism, Jan 15th, 2015, Nanowerk. Water-driven micromotors for neutralizing chemical weapons, ACS Nano, 2014, 8, 11118. Micro-rockets 'can destroy chemical weapons', Oct 31st, 2014, BBC News. Microrockets fueled by water neutralize chemical and biological warfare agents, Oct 29th, 2014, ScienceDaily. A nanorobotics platform for nanomanufacturing, Oct 28th, 2014, Nanowerk. 'Nanomotor lithography' answers call for affordable, simpler device manufacturing, Oct 30th, 2014, ScienceDaily. Robotically-Controlled Swimming Nanomotors Carve Out Next-Generation Nanoscale Computer Chip Lithographic Features, Oct 17th, 2014, Neomatica. Bioinspired plant based microswimmers - W. Gao, Nano Letters, 2014. Robo-Whiskers and Three Other Cool, Creepy, Animal-Inspired Machines, Jan 24th, 2014, Gizmodo. con la Microelica il farMaco arriva dove serve, Jan 24th, 2014, la Repubblica. Best of biomimicry in 2013, Jan 8th, 2014, GreenBiz. Nanoswimmers to Make Fantastic Voyage to Deliver Countermeasures, Jan 2014, JSTO in the News (by DTRA). Plant-based magnetic microswimmers to deliver drugs more precisely, Dec 23rd, 2013, Gizmag. First plant-based ‘microswimmers’ could propel drugs to the right location, ACS Press Release, Dec 18th, 2013. Plant paper was also also highlighted in ScienceDaily; Nanowerk; PhysOrg; R & D Magazine; EurekAlert!, 2013. Water-driven micromotors - W. Gao et al. ACS Nano 2012; W. Gao et al. Small, 2013; W. Gao et al. Nanoscale 2013. 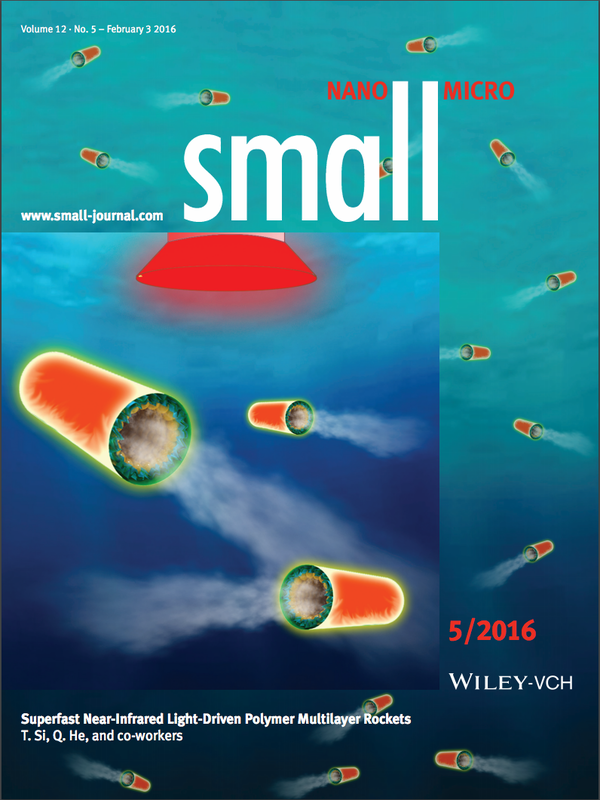 Seawater-driven Micromotors Clean Up Warfighters’ Environments, June, 2013, JSTO in the News (by DTRA). Seawater-driven micromachines, June 21st, 2013. Chemistry World. Microrockets and micromotors go in vivo - nanomotors for drug delivery, May 28th, 2013. 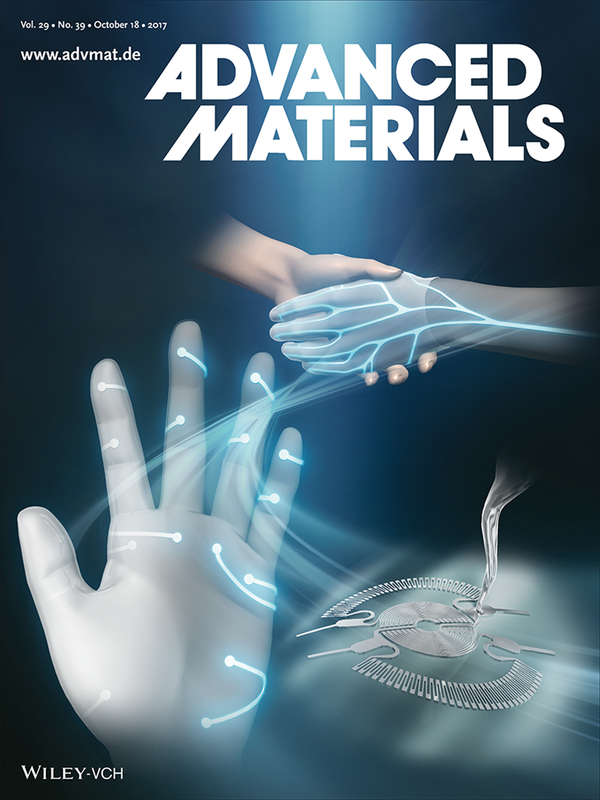 Materials World Magazine. Biofluids Fuel Microrockets, April 15th, 2013. IEEE Spectrum. Microrockets could navigate human arteries, April 10th, 2013. TG Daily. Self-Propelled Microrockets Use Water As Fuel, April 11th, 2013. TechNewsDaily. Overcoming a major barrier to medical and other uses of ‘microrockets’ and ‘micromotors’, April 10th, 2013. ScienceDaily. Overcoming a major barrier to medical and other uses of ‘microrockets’ and ‘micromotors’, ACS Press Release, April 10th, 2013. Micromotion Gets a Two-Faced Lift: Using Janus Particles for Chemical Power, Nov 15th, 2012, Materials Views. 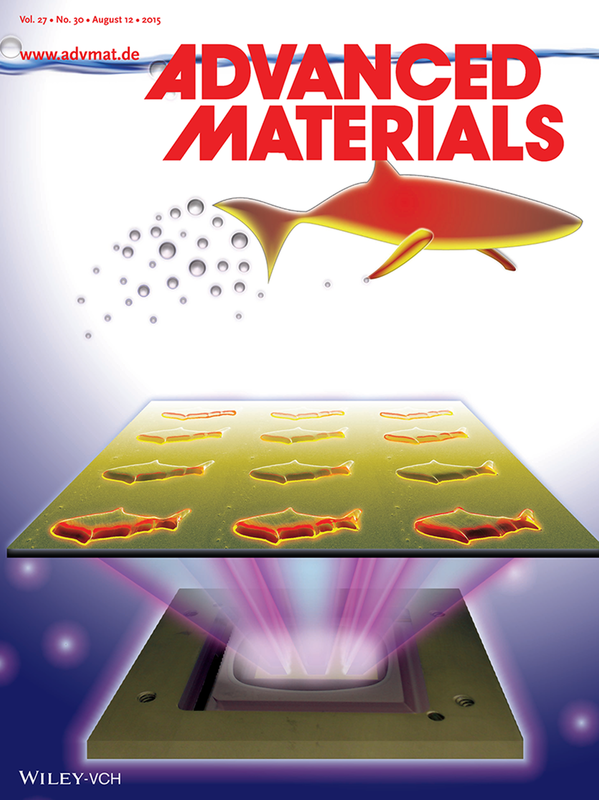 Nanotechnology strategy for water-quality testing with artificial 'microfish', Dec 19th, 2012, Nanowerk. Water Powered Nano Rockets Can Safely Explore the Human Body, Aug, 2012, Gizmodo. Water-Driven Micromotors Rocket Around, Aug 27th, 2012, Chemical & Engineering News. Micromotors for environmental cleaning - ACS Nano 2012. Micro-Submarines Clean Up Oil Spills One Drop at a Time, May 11th, InnovationNewsDaily. Swarms of 'microsubmarines' proposed to clean up oil spills, May 4th, Wired. Nano-subs Grab and Move Oil Spills, May 4th, 2012, Discovery News. Microsubmarines could clean oil spills, researchers say, May 3rd, 2012, BBC News. Microsubmarines may help clean up oil spills, May, 2012, Gizmag. In Successful Test, Tiny Microsubs Help Clean Up Oil Spills, May, 2012, Popular Science. Self-propelled micro submarine cleans up motor oil, May 3rd, 2012, New Scientist. Tiny submarines could help clean oil-contaminated waters, May 3rd, 2012, The Engineer. First “microsubmarines” designed to help clean up oil spills, May 2nd, 2012. ScienceDaily. First “microsubmarines” designed to help clean up oil spills, ACS News Press Release, May 2nd, 2012. Tiny Submarines Gather Oil, April 23rd, Chemical & Engineering News, 90, 2012, 32. Acid driven microrockets - W. Gao et al. JACS, 2012. Small is Fantastic, by Prof. Robert Langer, Dec 8th, 2012, The Economist. Microrockets Fizz Along, May-June Issue, American Scientist, 100, 2012, 204. How to propel microrockets through the body, March 12th, UC San Diego News. Also in Jacobs School of Engineering News. The Big and Small of Rockets, Feb 28th, 2012. Physics Central, from APS. Zinc-Based Microrocket Motors to Power Stomach, Feb 17th, 2012. MedGadget. Next Generation: Rockets for the Gut, Feb 14th, 2012. The Scientist. Future Of Medicine May Have You Swallowing Super Fast Nano-Rockets, Feb 13th, 2012. PSFK. Microrockets Use Bubbles To Self-Propel Through Digestive System, Feb 9th, 2012. Huffington Post. 'Microrockets' could explore strange new worlds -- in your stomach. Feb 9th, 2012. Mother Nature Network. Acid-powered micro-rocket buzzes at 640 km/h, Feb 9th, 2012. New Scientist. Will bubble-powered microrockets zoom through the human stomach? Feb 8th, 2012. redorbit.com. Microrockets travel at virtual warp speed, Feb 8th, 2012. TG Daily. Bubble-Powered Microrockets Zoom Have Potential to Zoom Through the Human Stomach, Other Acidic Environments, Feb 8th, 2012. ScienceDaily. Tiny 'bubble' rockets could be medical aid. Feb 8th, 2012. breitbart.com. Tiny 'bubble' rockets could be medical aid. Feb 8th, 2012. UPI.COM. Listen the Video from ACS Science Elements: Episode 237 – February 13, 2012 'A microrocket could speed up drug delivery in the body'. Researchers Create Tiny “Rockets” to Zoom Around Inside the Human Body, Jan 23th, 2012. Yahoo! Voices. Hold onto your stomach - scientists create bubble-propelled gut-rocket, Jan 19th, 2012, Gizmag. Bubble-propelled microrockets could operate in the human stomach, Jan 18th, 2012, PhysOrg. Microrockets Can Zip Around the Human Stomach, Powered by Hydrogen Bubbles, Jan 18th, 2012, Popular Science. Bubbles Propel Microrockets Through Acid, Jan 21, 2012, Discovery News. 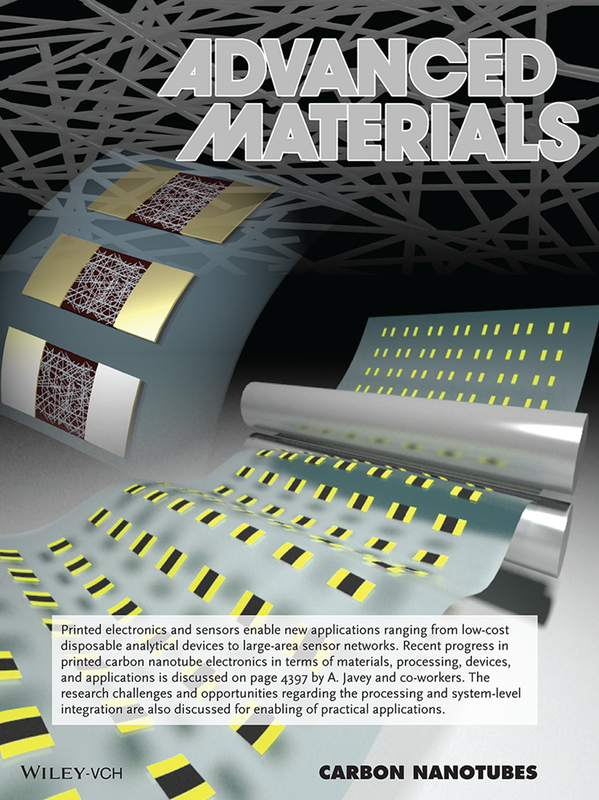 Flexible magnetic nanowire swimmers - W. Gao et al. JACS, 2010. Cargo-Towing Fuel-Free Magnetic Nanomotors, Dec 17th, 2011, Chemistry View. Multimetallic Nanomachines: Magnetic and Chemical Power Combine, Jul 20th, 2011, Materials Views. Small wires swim through serum for drug delivery, Jul 21th, 2011, Chemistry World. Bend, Spin, Swim, Oct 15th, Science, 330, 2010, 296-297. Nanotech roundup: a game that could save lives, and an extreme spinner, Sep 2013, The Guardian. Potato powered biomotors are cheap as chips, July 15th, 2013. Chemistry World. Micro- and nanomotors powered by water as the sole fuel source, Aug 23th, 2012, Nanowerk. Nanochemistry Nostalgia 2011, Jan 30th, 2012 by Prof. Geoffrey Ozin, Materials Views. Self-propelled microrockets detect dangerous bacteria in food, clinical and environmental samples, Dec 8th, 2011, Nanowerk. HHMI Awards 50 International Predoctoral Fellowships, July 25th, 2012, The Howard Hughes Medical Institute. Meeting the International Student Research Fellows.